This house is so small you could practically take it home in your pocket. But its real charm is that its owners are forgoing the "more is more" mentality and living both lightly and beautifully on the planet. 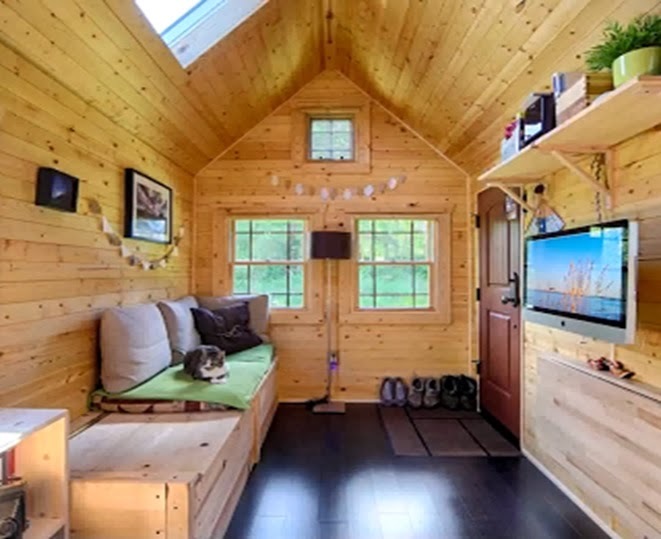 Chris Tack made seven trips to Goodwill to get rid of his stuff, before moving into the 140-square-foot home he and his wife Malissa Tack designed and built. Constructed on a trailer bed and parked in Snohomish, Washington, the house is more than enough space for them, the couple says. And one advantage of a home on wheels, the 29-year-olds say, is that you can always move. Hempcrete Can Change The Way We Build Everything!